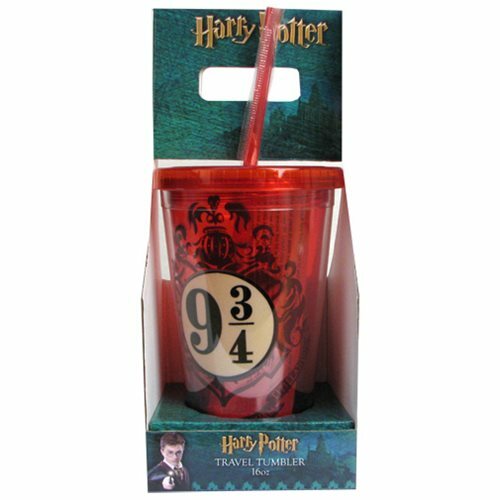 Shopping for Harry Potter Travel Cups? All aboard! As you board the train and travel to Hogwarts, you can sip from this 16-ounce Harry Potter Platform 9 3/4 Travel Cup. It's made of plastic and comes with a lid and straw. Hand wash only. Not dishwasher safe. Do not microwave. Ages 14 and up.